This woman is undoubtedly one of kind. Her positive spirit is infectious, her strength and faith is admirable, and her generosity and thoughtfulness is unmatched. 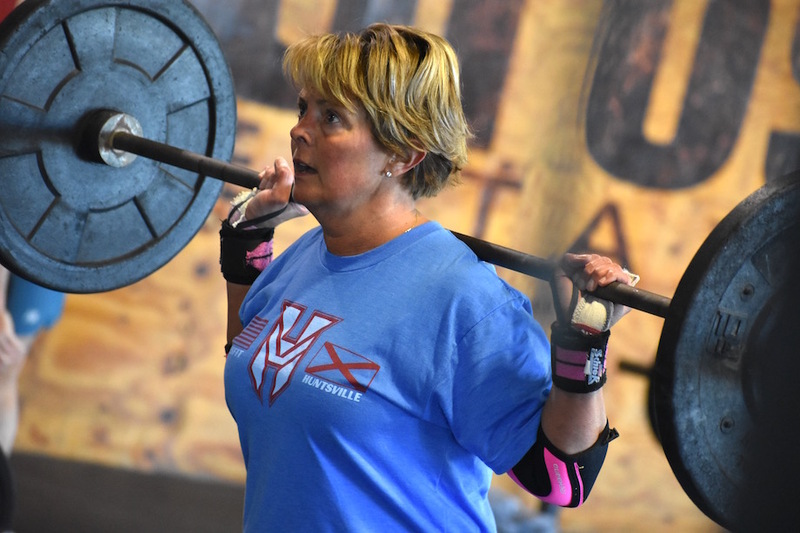 Margaret-Anne is CrossFit through and through, and her commitment to her health and fitness has been steadfast even through tough times. We certainly don’t deserve all the kindness this woman showers us with, but we sure do appreciate it and love her so much! Mandee & Nate couldn’t have said it better!!!! MA you truly are one of the strongest & kindest there is! Margaret Anne! This woman is the epitome of strength and determination! Her kindness is unmeasurable and she’s always the first to smile and strike up a conversation when a new athlete walks in the box. Love watching her get stronger and faster everyday and so glad CFHSV is her family and home! I always enjoy running into MA – she has a way of putting things in perspective. That’s a great picture! Margaret-Anne is the definition of awesome. Her great smile and hard working attitude bring joy to the morning classes. Thanks, Dustin, for all the help today!